"Dreams do come true!" posted Renata, who was married in Quito, Ecuador, and we knew we had to feature this enthusiastic bride on our blog. Our international brides are an important part of our Chic Parisien family. We love to see how our gowns get to travel to new homes in countries near and far. We play our part in your wedding, assisting you in finding and styling the wedding dress of your dreams, and then we see it go off with our happy fiancee and wait patiently for the photos to come in. Then, we get to see our bride on her big day and explore the other vendors who did their part in the brides' super team! 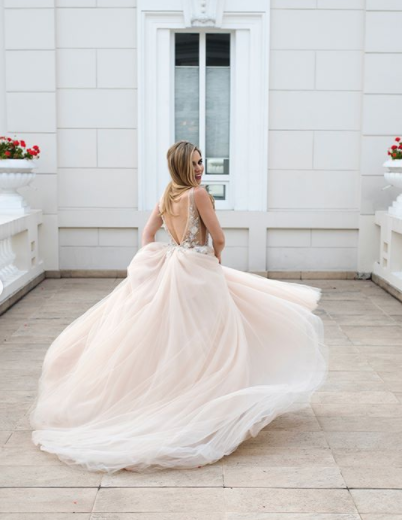 These pictures just looked so alive and full of happiness - and Renata's Berta dress perfectly complemented that radiating chicness!